The Hillary Fund’s first dolphin experience trip was awarded to Becky, a former classmate of Hillary. 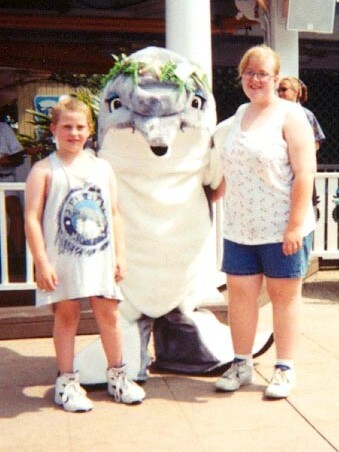 Becky and her family traveled to SeaWorld in Orlando, FL in June 1999. We want to thank you so much for thinking of Becky and I and giving her trip that we will never forget. We all really had a wonderful time and really appreciate you and your family and thank everyone that helped us to go. May God bless you and keep you safe in His care always.